Hill Climb; Rock Climb, Traverse, Archaeology; Tribal Village; Lots of Greenery; and misty monsoon clouds and a big adventure climb. Rating: Moderate but difficult (Involves few patches of basic rock climbing and few exposed traverses). Climb 3.5 to 4 hours one way. Location: Malshej Region (Between Bhimashankar and Gorakhgad). Camp Fee: Rs.950/- (Village Lunch Food if ordered will cost extra on actual cost). Includes Transport, Road Tolls, Packed Breakfast, Evening Dhaba Tea / Biscuits and Trekking Support. 8:00 am Washroom and Tea break after Kalyan ..
Full Sleeves t-shirt; tights or track pants (no jeans please), Cap or Hat, (Optional) Sun Glasses; apply Sun Screen. 4) Seasonal Fruits (2 or 3 of them). 6) Wear Hat or Cap with good shade to protect yourself from sun. 8) Thin Cotton Full Sleeves t-shirts are a good idea or Dry Fits for Winter and Monsoon. Kalyan is the nearest convenient railway station. S.T. buses from Kalyan to Murbad (about 30 Km.) are available every after 1/2 hour. From Murbad, catch S.T. bus to base village Narivali (about 15 Km.). 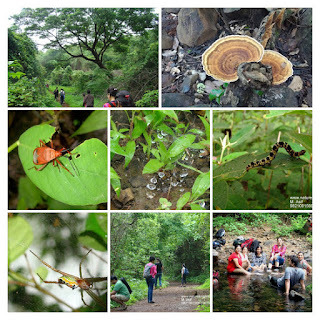 21/ 2 hours walk through dense forest will take you to Siddhagad Wadi (Village) and a temple. Further walk of 1 hour is through barren land. Be careful towards the end. Borwadi - 30 mins from Borwadi village is Kotwal Smarak, which is dedicated to two freedom fighters Bhai Kotwal & Hiraji Patil who were shot dead at this place by a Britisher on 2nd Jan 1943. 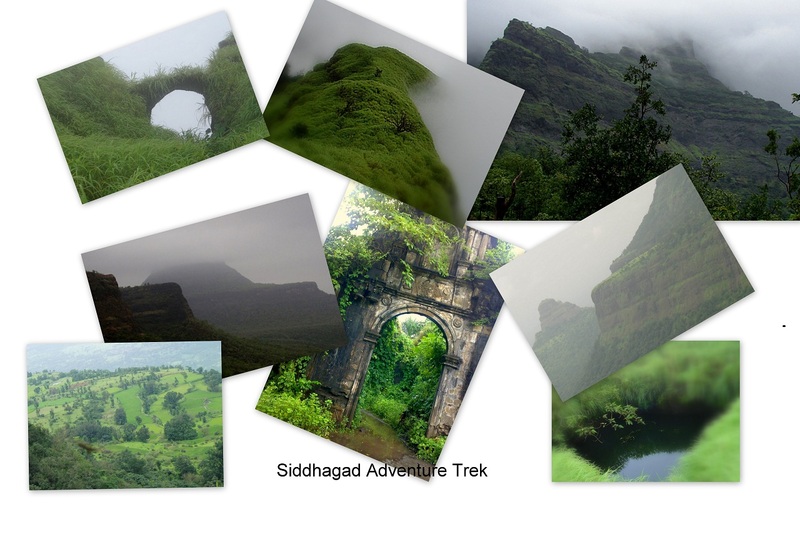 Siddhgad – Nothing much has been mentioned about Shivaji Maharaj and Siddhgad. But this fort was in Swarajya till year 1690. The cave on the fort looks 1000 years old. It was taken by the British in 1818. Siddhgad was at a difficult location and cannons fired by Britishers could not reach Siddhgad hence cannons were brought up till Damdamia plateau slightly higher than Siddhgad via Pune – Bhimashankar route. Cannon shells were then fired to destroy Siddhgad in year 1819. The villagers mention that these cannons are still there in dense forests of Damdamia.